Micah Worley, Julia Cox, Emilee Custer, and Aubrey Green are becoming quite used to performing at a high level in public speaking contests. The four Coahoma FFA (Future Farmers of America) members are making a return appearance at the Texas FFA LDE (Leadership Development Events) contest set for today and Saturday at Sam Houston State University in Huntsville. Although experience public speakers, they all admitted to feeling a little jittery when it’s time to perform in front of the judges, but a little pep talk from their chapter adviser, Aaron Custer, helps to settle their nerves, Emilee Custer said. “He tells us to do it like we do it at home, so it’s pretty easy for us to take a deep breath and think we’re just at home, we’re just in the ag shop, but it’s still pretty nerve-racking,” she added. Worley, Cox, Custer, and Green are competing as a team in public relations. Cox is competing individually in the senior creed division. For the public relations contest, the team is tasked with creating an informational program about FFA for an audience with no previous knowledge about the program. Following the presentation, they answer questions from the judges. Last year, Worley, Custer, and Green placed 7th in state in radio broadcasting. Cox was the state champion in the junior creed. Over the years, Aaron Custer has watched the four girls grow their public speaking skills through these types of FFA sponsored contests. In addition to honing their public speaking skills, the students have taking what they’ve learned back to the chapter to disseminate among their fellow members, Aaron Custer added. After winning the state junior creed division in 2017, Cox qualified to compete against the top students nationwide at the FFA national competition held this past October. The contest requires participants to recite by memory the FFA Creed, which outlines the organization’s beliefs on the agriculture industry, and then answer questions directly related to the creed. As part of her preparations for nationals, Cox worked with younger members to help them prepare for district contest. Cox landed in the top 16 competitors at nationals. All four plan to put their public speaking skills to use after they graduate from high school. Cox is contemplating a career in law. Custer and Worley both plan to continue their agriculture studies in college. Custer wants to major in agricultural communications with a possible minor public relations and Worley plans to study animal science. Green has not decided on a career field. “Whatever I do, I know this is helping me because I love speaking in front of people, and I love being able to be confident. So whatever job I pick, I want that to be a part of my job,” Green said. In order to qualify for state, competitors placed first or second in their events at area. 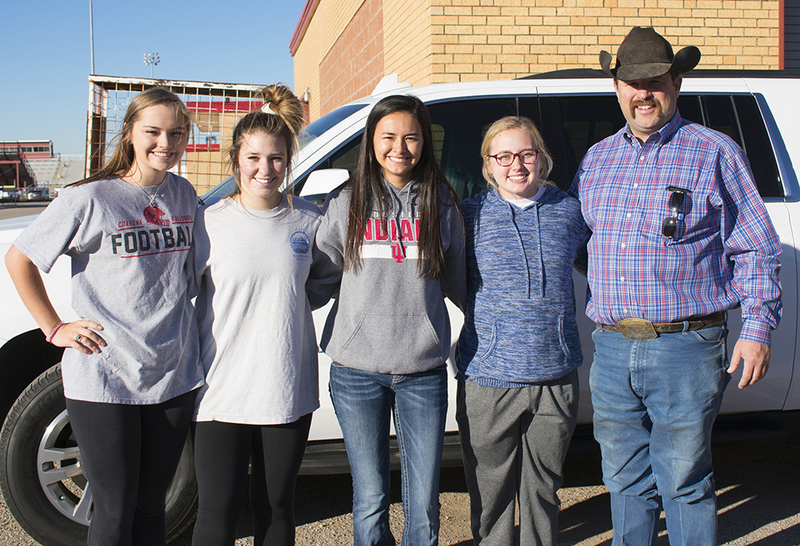 The Coahoma FFA public relations team placed first at area contest held at Howard College on Nov. 17. Cox came in second in senior creed. FFA is a national, student-run program designed to bring about personal growth, leadership skills, and community mindedness in young people through agricultural education.